George Clonney, the Hollywood star with house in Laglio, is committed to this morning in Villa Centenarians, in Val Fresca, for the filming of the new spot of Nespresso. Last year as a location was chosen Villa Erba, while this time it was the villa surrounded by a park and very private. Spotted some paparazzi hiding in the hills of Como, but the set is blindatissimo. Was wondering when he would film the new Nespresso spot. Thanks Nicky! Anybody got the odd four million or so? Sorry PAN but whatever insight there is in the article it's lost on me. In essence what does it say? George Clooney is back on Lake Como. This time to work and not to switch his Italian vacation. The American actor turns these days the new spot of Nespresso, the Swiss brand of coffee that is historical testimonial, in the park of Villa Centenarians, in a fabulous residence in Valfresca overlooking the city. 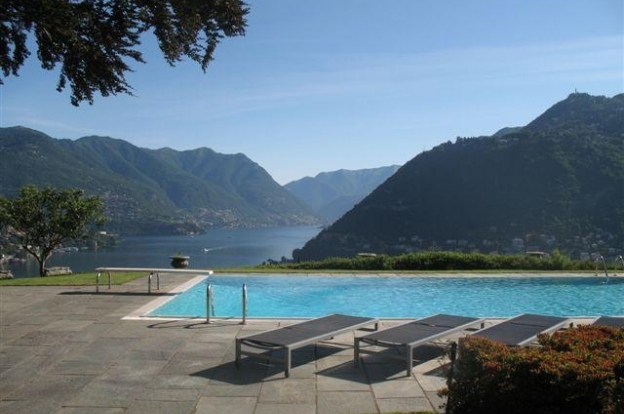 And according to The Province of Como it would not be a random choice: it seems that Clooney did include among the many clauses of his contract advertising also a commitment to carry out the shooting in a radius of 20 kilometers from the home of his property, Villa Oleandra in Laglio. This is according to google tranlate. Thanks annemarie. No problem PAN. I now understand what you were referring to. You and me both, Donnamarie! But what a gorgeous view from the pool! I could really get used to that! Maybe in my next life. 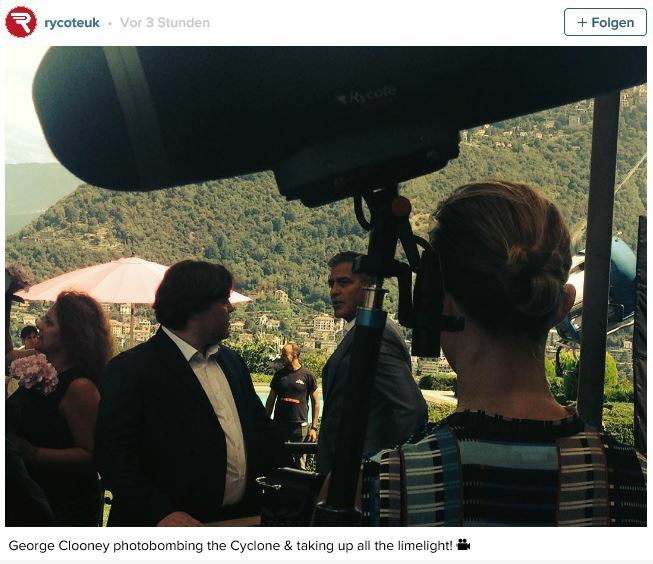 Clooney wanted another comedian as "shoulder" in the new spot that Nespresso has been shooting yesterday in Villa Noseda Cereda (better known as centenarians) in Valfresca. Of course, could not be otherwise, the choice fell on a star of the first magnitude: the American actor Jack Black in the course of his career he has received two Golden Globe nominations, two to the People's Choice Award, a Grammy Award and seven to teen Choice Award. To make it famous roles in cult movie like The Gulliver's Travels, School of Rock, High Fidelity. In short, a worthy palmares of Oscar winner George, who last year still in the Nespresso clip filmed in Villa Erba had gotten to partner with the French actor and comedian Jean Dujardin, the 2012 winner of the aspired statuette Academy thanks to his performance in The Artist. At this point it is easy to imagine that George wants to play again on irony, that suddenly made him the perfect ambassador of the famous brand of coffee. 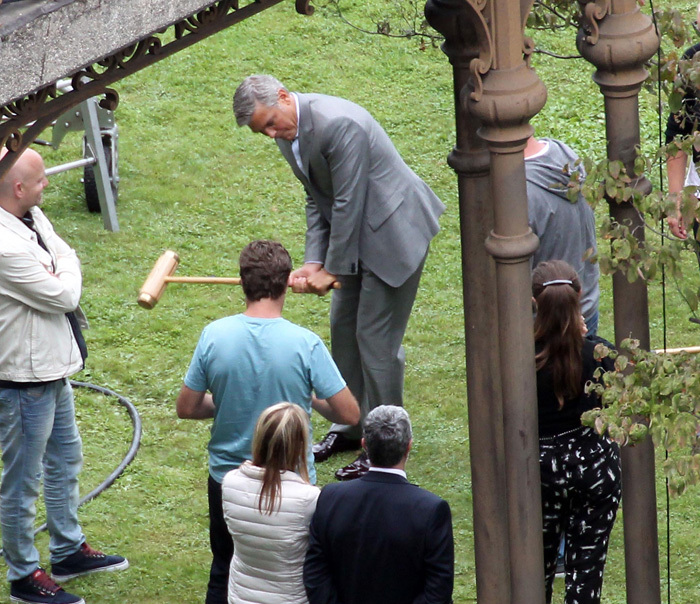 Although the set of Villa Noseda Cereda is armored and inaccessible, it seems that Clooney and Black are enjoying a lot between one take and another. They both like to make and receive jokes. Suffice it to say that Jack was able to smile even when he was the victim of a dismal hoax. Basically, in early August, a magazine known overseas had published the news of his death, causing concern among fans around the world, lovers of cinema and rock. The actor is in fact a popular musician. Hundreds of people have sent messages of condolence on the Facebook page, the world of the internet came into mourning until they got a blunt denial by agents of the star. Assuming that the press releases had not convinced at all, the official confirmation that Black is alive and well comes from Como. Jack has landed right in the city the day before the shoot, probably accompanied by his girlfriend with whom seem willing to get married. 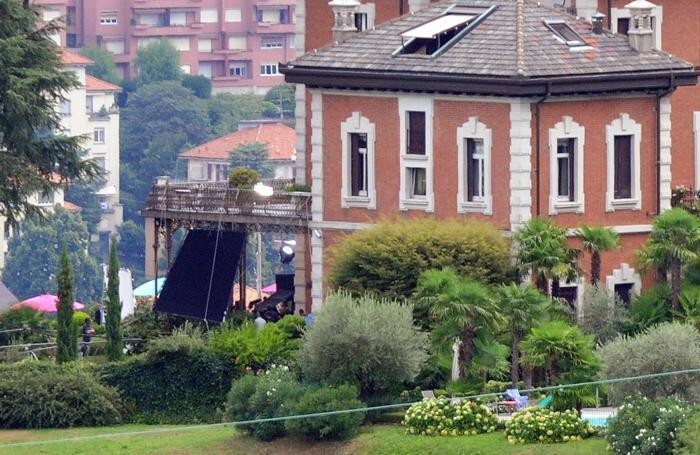 The couple is seated at home and remain Clooney at Villa Oleandra at least so long as the filming will last. Besides, if it were based on the indiscretion project wedding, the two do not have that to ask for advice on wedding to George, next to celebrate with Amal's first wedding anniversary. I can't get the pics bigger as you need to login for it. Last week, George Clooney showed all his elegance on Lake Como, in Italy, the same region where the actor has a residence. The Hollywood star was wearing a suit and tie while filming for the coffee brand Nespresso, which he's poster boy. In the pictures, it appears playing cricket on a lawn. 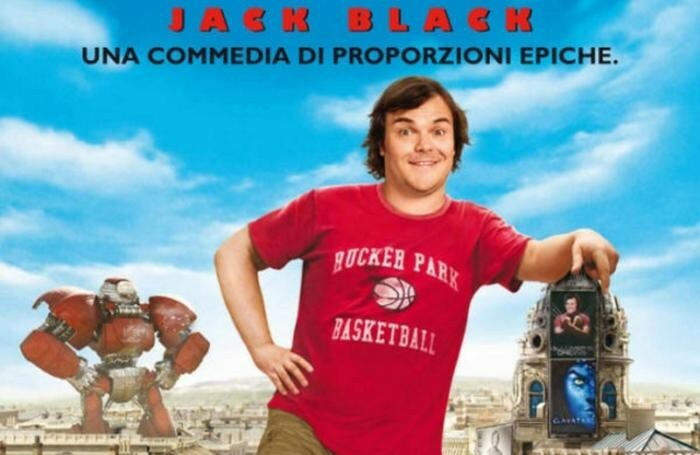 According to Grosby Group agency, Jack Black also made an appearance in the commercial, while not appear in images. 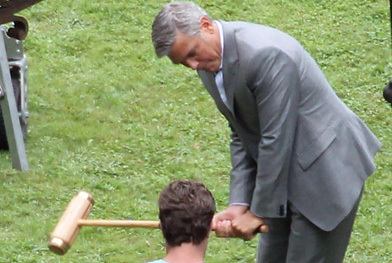 If in the past George Clooney received the nickname "worst neighbor in the world," now the situation may worsen. According to the international press, the star plans to install a security system with cameras at his mansion, located in the luxurious condo in Sonning Eye, England.